Trusted Roofing and More With Pressure Point Roofing, LLC. - Pressure Point Roofing Eugene, LLC. Home / Blog / Home Improvement / Trusted Roofing and More With Pressure Point Roofing, LLC. Pressure Point Roofing, LLC. opened doors in Rogue Valley more than 25 years ago. 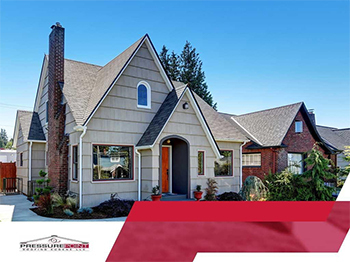 As the company grew, we expanded our reach to Eugene, OR, where we offer unparalleled roofing products and services for homes and businesses. We have been committed since day 1 to guaranteeing customer satisfaction, so you can count on nothing but the best experience from the office to the field. As a roofing expert, Pressure Point Roofing, LLC. offers top-quality commercial and residential roofing products from reputable names in the industry, such as Carlisle, Duro-Last, GAF and Owens Corning. We are proud to be a GAF Master Elite® contractor because this lets us offer top-notch products as well as solid warranties for many years of protection against material defects. To learn more about what Pressure Point Roofing, LLC. can do for you and your property, just give us a call today at (541) 688-7663. You may also get in touch with us by simply filling out our online contact form. We serve Eugene, OR, and the surrounding communities.